Raspados are like snow cones with style. Oasis Fruit Cones has fresh fruit, delicious ice cream and pretty much every iteration of a raspado your little heart could dream up. 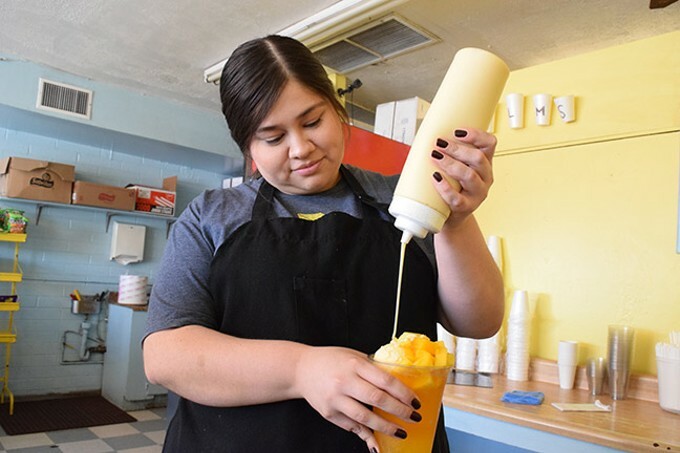 Pick a flavor (they're all divine), add some chamoy or ice cream, and relax into the single most delicious cure for Tucson's persistent heat.